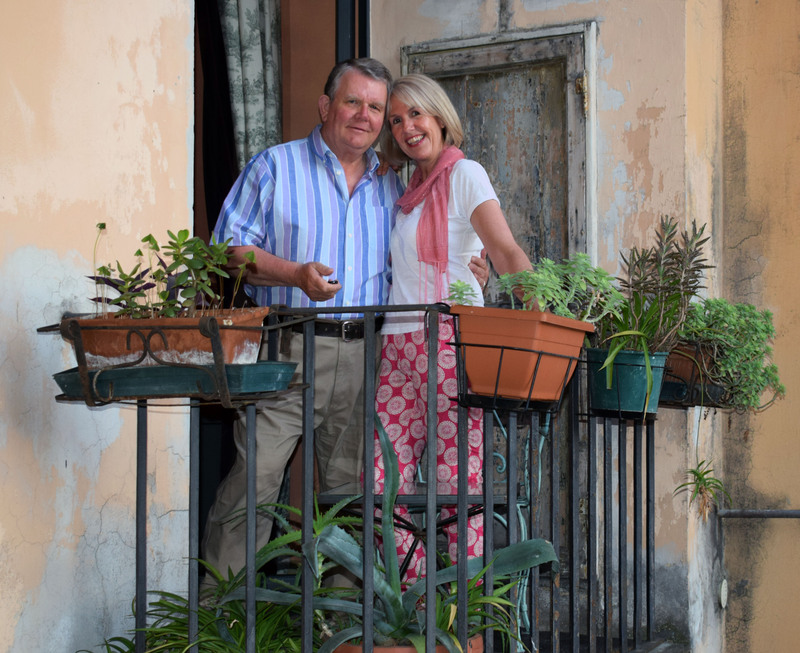 Kim and I have just returned from a week’s holiday in Rome, which proved, on balance, to be a wonderful experience. This was our first visit to the Italian capital and a trip that we had been looking forward to for many months. Regrettably, he apartment we had rented turned out to be more shabby than chic. The bathroom flooded for 24 hours and I’m sure the bed was made from a similar stone to that used in the construction of the Coliseum. Doesn’t all rented accommodation have its pros and cons. But, nevertheless we enjoyed seven days in Rome that we will never forget. 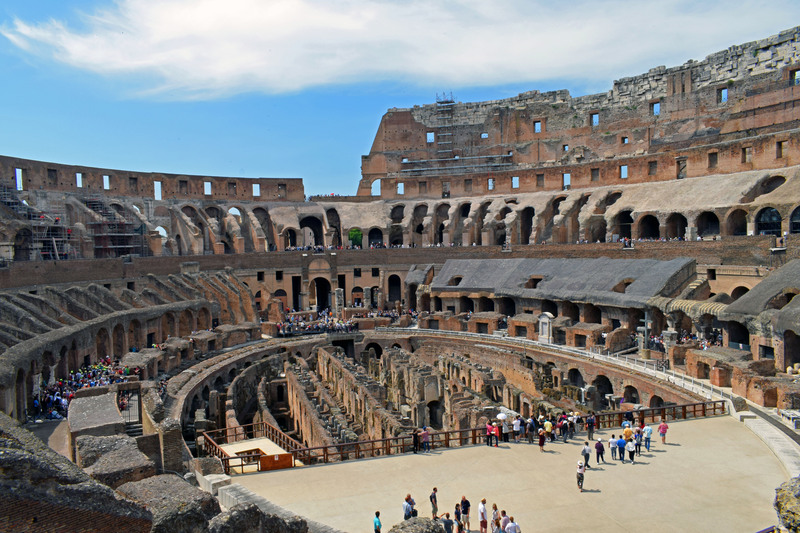 The Roma Forum and The Colliseum were astonishing but the crowds were so intense. The Tourist Bus was a bit of a disappointment and consisted of a 3 hour loop around the same shopping streets, that were of no real interest anyway. We therefore decided that a change of plan was called for… and decided to spend the remainder of our holiday in a somehwat different fashion. We learned how to make affective use of the trams, buses and the railway system. This enabled us to visit places like the Villa Borghesi; a beautiful park that contained no less that seven museums. We didn’t enter all the museums but we loved the greenery and the great atmosphere, the restaurants and open air entertainment. Another day we embarked on a 30 minute, air conditioned, train journey to Ostia Antiqua. Two millenia ago this was ancient Rome’s port, through which came all the goods from all over the Mediteranean that was destined for Rome. Some years ago we had visited Pompei; a memorable experience but spoiled by the huge numbers of visitors. The ancient ruins at Os tia Antiqua were notable by the absence of visitors, apart from some parties of really well behaved school children. 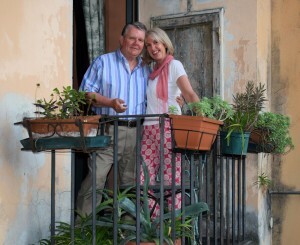 We enjoyed a lovely day, 30 miles from Rome; the cost of the return train fare being just £5. Notably, throughout the entire week in Roma we didn’t see a single fast food outlet. The food shops we did see were beautifull presented and full of the most wonderful Mediteranean type foods. Delicious and very healthy. Upon our return to the UK we stopped for a coffee at the Winchester Services on the M3 in which any traveller wanting hot food would have to choose between Duncin Doughnuts, McDonalds and Kentucky Fried Chicken. No wonder we English have health problems caused to a large extent by a poor diet. By comparison the restaurants the restaurants we encountered in Italy were such a highlight of our holiday. Theywere all family owned, offered good value, excellent food and friendly service. By the end of our expedition to Roma, we coudn’t wait to get home again, to see our daughter Katy, our dog Patch and return to the wonderful lifed with which we are blessed. Holidays are important and I was delighted that upon our return Gary Hudson, our invaluable general manager was flying to Majorca with his lovely family for a well earned a break. We fully appreciate that we are fortunate to be able to enjoy continental holidays when so many peole seem to be hanging on by their fingertips. We have perhaps earned our occasional holidays by providing our customers with the benefit of a team of bungalow specialists who so enjoy providing such an effective and personal service. 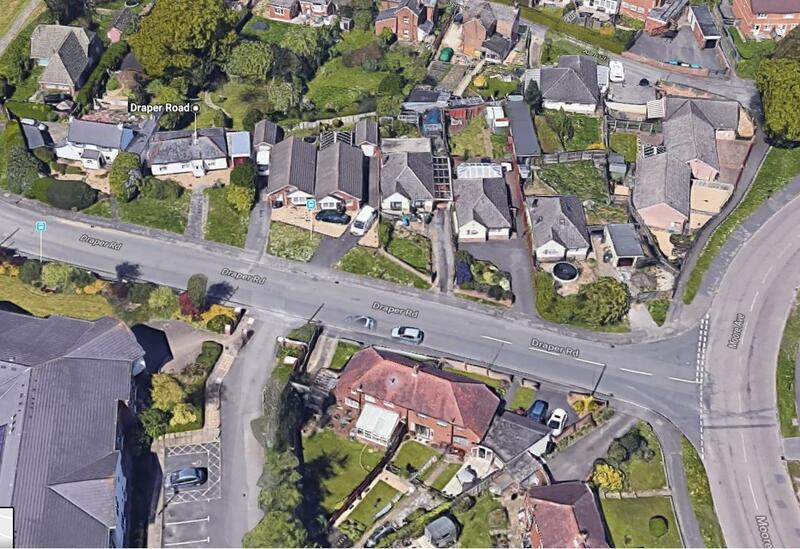 The General Election will soon be over and then the many people who have been waiting to move will ask us to market their bungalows so that they can press ahead with their moving plans.